I'm DYING to own those top two shirts! Definitely bidding! i especially like the first one, it's really beautiful ! nice :) I'll check it out! Lovely pieces. 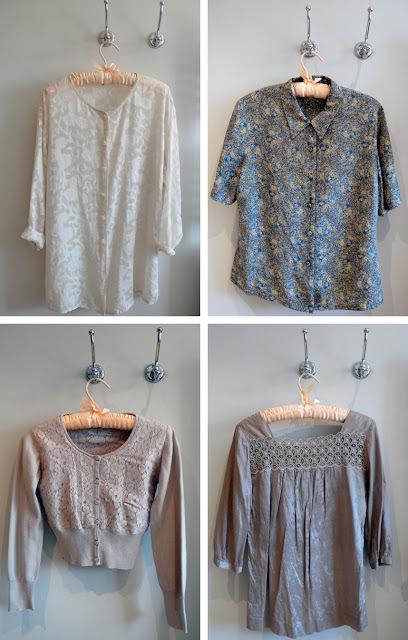 I especially love the white burnout blouse. Really cute. oh sarah you totally do love fashion. i can tell by these clothes here--so nice! i am a new fan of your great blog. you are such an amazing artist as well!